Sesshins are extended periods of intensive, silent zazen for experienced meditators held several times a year at the Casa Zen and the Vermont Zen Center. Sesshins are extended periods of intensive, silent zazen for experienced meditators. They are held in seclusion, follow a rigorous schedule, and last from three to seven days. 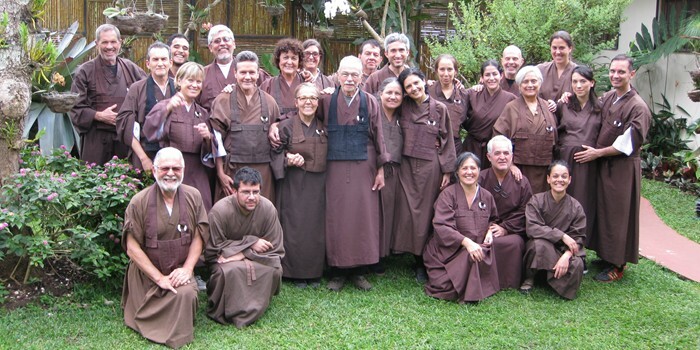 Roshi Graef conducts sesshins in Costa Rica and Vermont. Because of the demanding and intense nature of sesshin, only people who have been sitting regularly should apply. Attendance at a Workshop and at least one all-day or a short sesshin (two to three days) are prerequisites. The sesshin day begins at 4:00 a.m. and ends at 9:30 p.m. There are ten hours of formal zazen each day; informal zazen is encouraged during breaks and rest periods. Other elements of sesshin are walking meditation, chanting, prostrations, a work period, exercise, and vegetarian meals. Roshi Graef offers dokusan (private instruction) three times a day, and a teisho (Zen talk) once a day. Retreats are loosely-structured periods for silent meditation usually lasting five days. They are held once a year in Costa Rica and Vermont. Personal retreats can take place any time there is availablility in the Casa Zen's schedule. Retreats are open to anyone who has received prior instruction in meditation and attended a Workshop. The schedule is open and flexible with the only requirment being a 90-minute work period each day. Traditional sesshins are for experienced Zen practitioners. 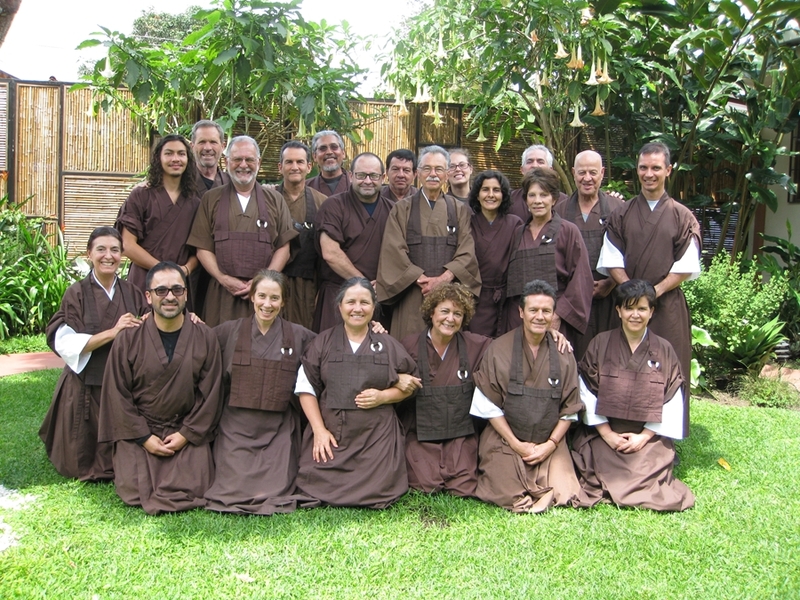 Three 7-day sesshins in Vermont and one in Costa Rica are held each year. With a strict and demanding schedule, only those who have attended a retreat, work sesshin (only held in Vermont), or jataka sesshin may apply to a 7-day sesshin. In January, Guest Zen teacher Rafe Martin conducts a 5-day sesshin with daily teishos on the Jataka Tales. Roshi Graef gives dokusan three times a day as at traditional sesshin. The schedule is a combination of structured and unstructured time. There is an additional $35 flat fee for attending this sesshin to cover the guest teacher’s honorarium. A 5-day retreat is held once a year at the Casa Zen. This is ideal for those who want to have unstructured time for meditation. Anyone, even those with no prior sesshin experience, may apply to a meditation retreat. —Half-day sittings are from 9 a.m. though 4 p.m.
—Full-day sittings begin on Saturday at 7 p.m. and end on Sunday at 3 p.m.
—Two consecutive full-day sittings begin on Friday at 7 p.m. and end on Sunday at 1 p.m.
Sesshins or retreats are held almost every month either in Costa Rica or Vermont. Please submit an on-line sesshin application which is accessible from the sesshin application page.